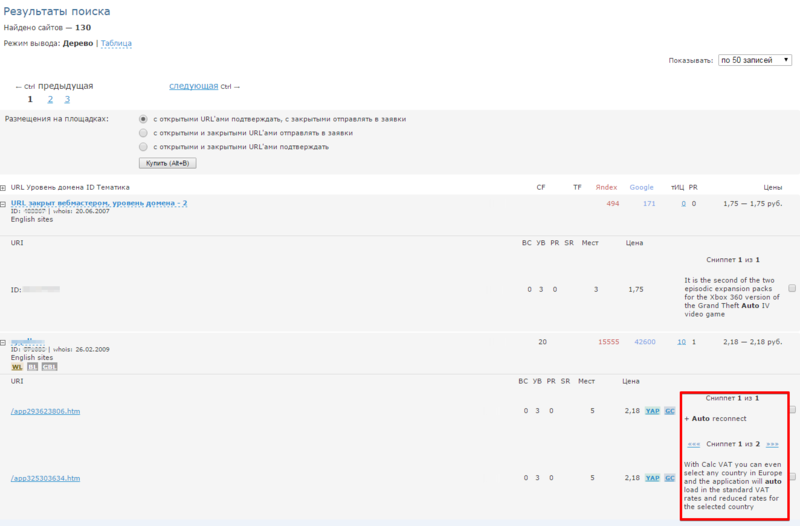 To use the contextual links you should open "Sites search" ("Поиск площадок") and select "Contextual links" ("Контекстные ссылки") tab. Then you fill in the required options for the search of the site you need. 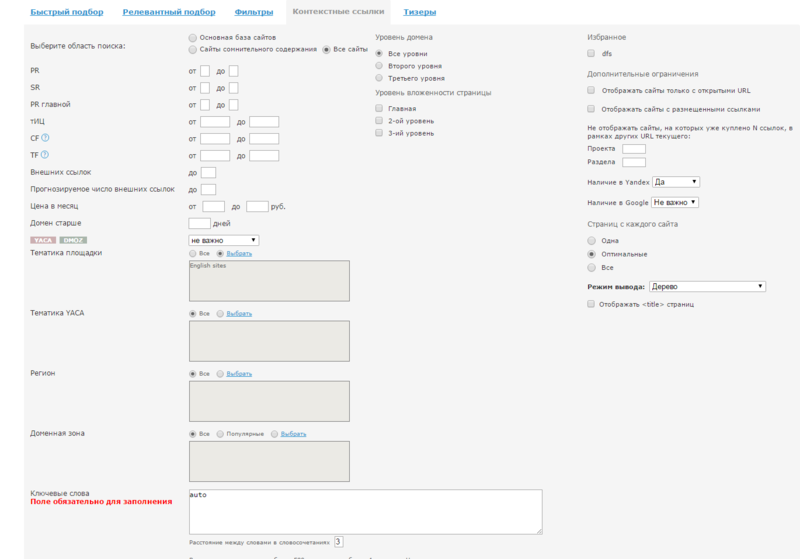 Do not forget to fill in the "Keywords" ("Ключевые слова") section. These words will appear in the snippet (a small fragment of the original text). Click "Find (Alt+F)" ("Найти (Alt+F)"). Then you will see a search result. Select from the list a site suitable for you (one or more), click the site's name to remove the list of URL of pages where contextual links may be placed. In the right part of your chosen site you will see a "Snippet" ("Сниппет") with a certain number of words. Please look through it and choose any text you like using the arrows "left" and "right". Select the desired word in the text and mark the checkbox. The selected word will be highlighted in green color (then this word will become a link in the text). At the end of the page click "Buy (Alt+B)" ("Купить (Alt+B)" ).